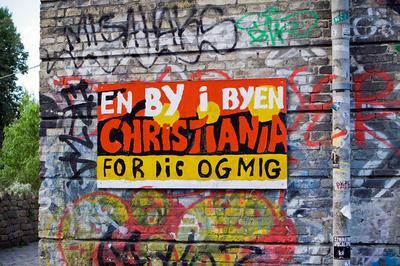 Free town of Christiania - the best place in Copenhagen. Copenhagen struck me as a beautiful city, but very uncomfortable. With its area of Christiania all on the contrary - it was all old, shabby and overly modest, but incredibly cozy and hospitable. You walk in a cozy sleeping area, all clean and tidy, don't understand where is the Cristiania? Then you see a vacant lot and a few houses older. Going even further and see graffiti on these old houses then reached Christiania! In Denmark I wanted back into almost native Sweden, and even better - home. It was necessary to urgently raise the mood. So I went to Christiania, mainly for the "something special." 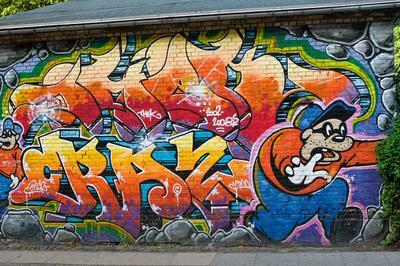 In fact Christiania is a modern commune Scandinavian hippies, but known it in the first place is not hippies, and free sale of soft drugs, such a Amsterdam to Copenhagen. 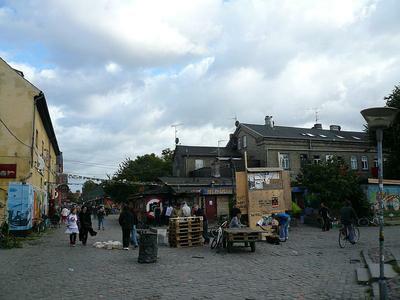 The main street is called Christiania Pusher Street. Taking photos here is forbidden. Pusher Street in the daytime - it's never, damn, not Amsterdam, it is much harder! In Amsterdam, the substance sold in dull coffeeshops, and the coolest - in smartshop. Oh, and there are negros in the streets, offering to buy laundry detergent in the guise of coke. In Christiania is different - imagine an ordinary rural market with trays where grandmothers sell strawberries, cucumbers, tomatoes, dill ... On Pusher Street is almost the same, only instead of cucumbers and tomatoes there marijuana and hashish! Christiania - a victory for communism / socialism to capitalism! The first thing that impressed me - a local second hand. Open shed with shelves and hangers inside and the words such as "leave one of his rags, and take any other exchange". I was struck by yet more picture - young boy rides a bicycle to the house and goes to the parents, the other boy takes his bike and leaves. It turned out - children's toys are common. Street fried pancakes - you buy a portion of pancakes in single vessel, stand near the banks with chocolate cream and jams - buttered pancakes and eat what you want, it is worth a penny, delicious, nourishin and not healthy! Speaking of neighbors, in Christiania many hold the door open to their homes and do not mind if someone comes to visit them. For the sake of interest I went to one of the houses - entered the Studio of the local artist, he just draw something. But I did not linger. In Christiania very calm and clean around the ponds with ducks inside - wooden and brick houses. There are no cars. People live very poorly, but I think they have enough to no longer seek. Perhaps this is the most peaceful place one of those where I was in Northern Europe.